To get a real feel for any destination it helps to experience it at various times of the year as the weather and local living patterns change with the seasons. Even with its year-round good weather, this applies equally to Tenerife – more so to the traditional towns than purpose built resorts – where life in November is quite different from life in July. It’s also interesting to see what some places are like after dark, especially traditional towns/areas which are highly popular with day-trippers. Staying overnight in places which teem with visitors during the day can be highly illuminating, revealing a very different personality. 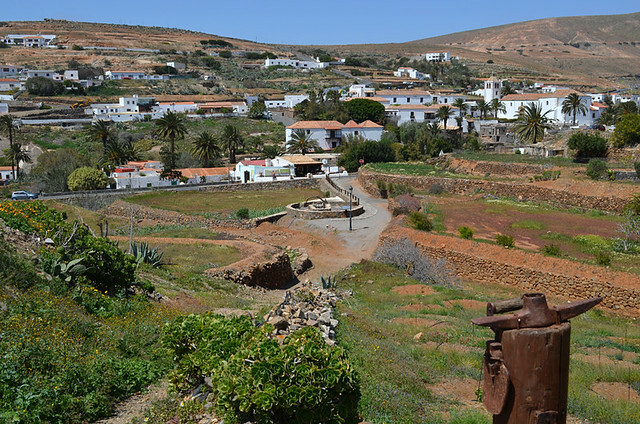 For example, a couple of years ago we researched traditional inland towns on Fuerteventura as potential bases for visitors who wanted to experience the island beyond its beach resorts. One of these was picturesque Betancuria. It was perfect in many ways; historic, picture-postcard pretty, a few walking routes passed through the little town and there were plenty of quaint places to eat. But there was one huge problem. Everything shut down as soon as the day-trippers left. Outside of one rural hotel, where service was eccentric, we struggled to find anywhere to get even a cerveza after 6pm. 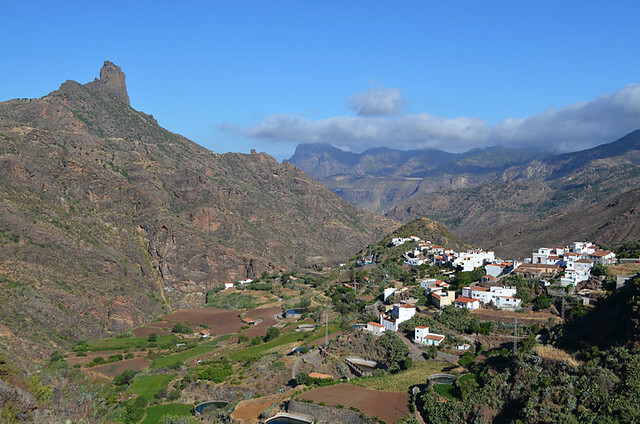 The change in Tejeda on Gran Canaria isn’t quite so drastic, but it’s another traditional town which has given itself over to catering mainly for daytime visitors. When night falls the choice of where to eat is significantly restricted as many restaurants close around 5 or 6pm. 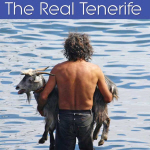 On Tenerife things are very different. 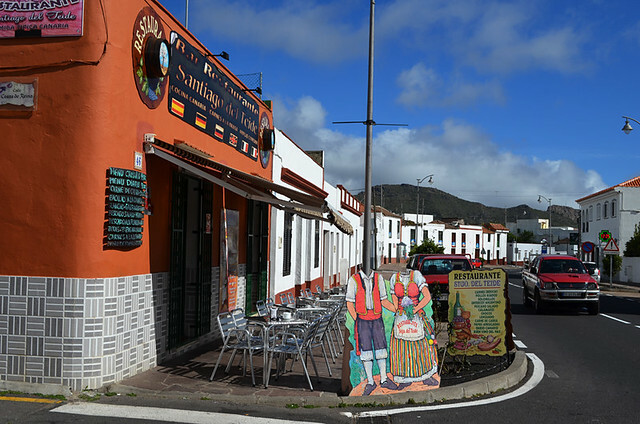 There’s more of a culture of locals eating out which means even in those towns which are massively popular with visitors during the day, many restaurants cater for the local population as well, and so tend to stay open later to fit Canarian eating times. 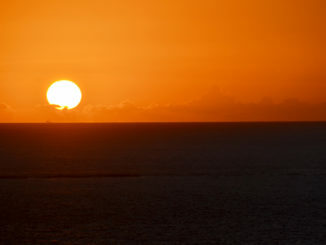 Saying that, there’s still a completely different vibe in some locations after the sun goes down. 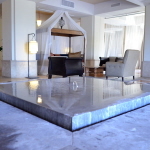 Here are a few Tenerife examples. When we first visited Santiago del Teide most people passed through on their way to Masca. In recent years it has deservedly become popular in its own right and is now quite bustling during the day. The default weather is sunny, it’s a good base for walking; there are a few quirks to discover and the kiosko in the small zona recreativa serves as good arepas as we’ve eaten on Tenerife. We’ve stayed overnight in early spring and in summer, when it was hotter than at the the coast. After dark it’s a very different scene from daytime. On a Friday night in July our entertainment in the town involved sitting in a quiet bar where a few local men played a lively game of dominoes. Santiago del Teide is ideal for a tranquil ‘get away from it all’ break without having to travel far from the south west coast. One of the top spots for day-trippers, Garachico plays host to a lot of visitors every day, but it’s also got a sizeable resident population. So, although we’re not talking resort level nightlife, it’s not as quiet as the grave. Sometimes when we’ve stayed, nightlife has been low key; a few folk enjoying glasses of post-dinner wine in various tascas. At other times we’ve queued to get into a seriously popular pizzeria, eaten flower-themed food in a packed creative restaurant, and head-banged with bikers at a heavy rock festival. The one thing each had in common was that most of the other people doing the same thing were locals rather than visitors. It’s a good choice for people who want a quiet, traditional place which has a decent nocturnal local scene which includes interesting cultural events on a regular basis. Again, another historic Tenerife town which attracts a lot of excursionists and independent visitors on a daily basis. La Orotava is very much a town of two halves. The less attractive-looking modern side is a typically bustling, working northern Canarian town. 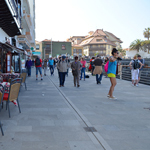 Overall Orotava has a nice balance of visitors and locals, and even in the historic half which is more popular with visitors, local life dominates. Whilst coach excursionists queue to wander around the Casa de los Balcones, a few doors or so away locals will be queuing up to buy gofio direct from the mill. 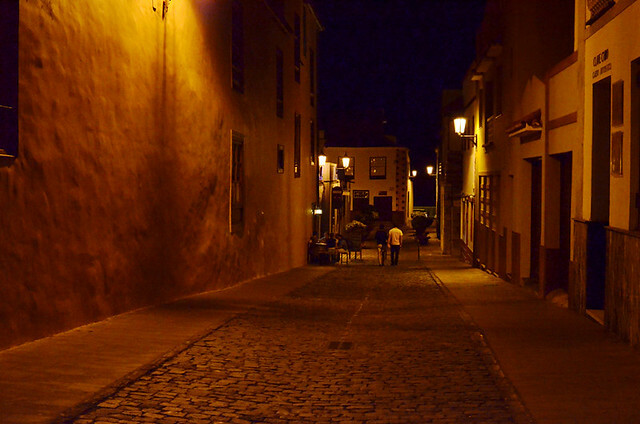 La Orotava is one of the more sophisticated of Tenerife”s towns and has a good after dark scene you rarely hear about. We’ve never really mentioned it much ourselves (selfish I know, but there are still a few things we haven’t shared). The main centre for bars isn’t in an area you’d easily accidentally stumble across. So it’s something which hasn’t ‘filtered down’ to other travel sites/articles yet. But there are some good bars and often great festivals. Nightlife can either be low key if you stick to some parts, or quite lively if you know where to look. The most popular attraction on Tenerife and the Spanish national park which receives most visitors each year, Teide National Park absorbs thousands of people each and every day during the hours of daylight. But with only two places to stay in the park, the Parador and the Altavista Refuge near the top of Mount Teide, after the sun drops below the horizon there aren’t many humans left in the volcanic wilderness. It is spellbinding as a result. We adore the landscape inside Teide National Park during the day, never tiring of gazing over it no matter how many times we visit, but there is something truly humbling to stand alone in this unique and wonderful world at dusk when the stars begin to put on their sparkling nightly show. 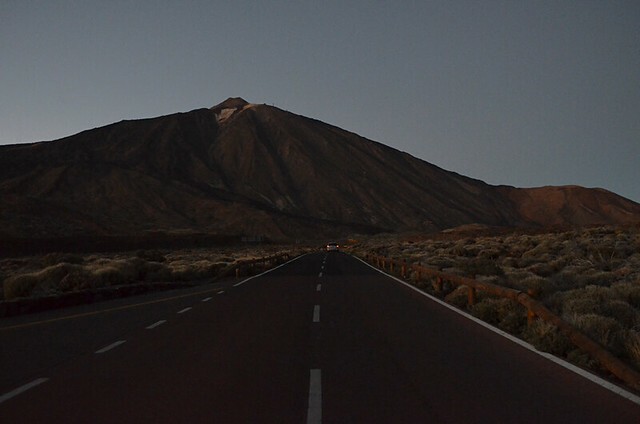 Teide after dark is magical. 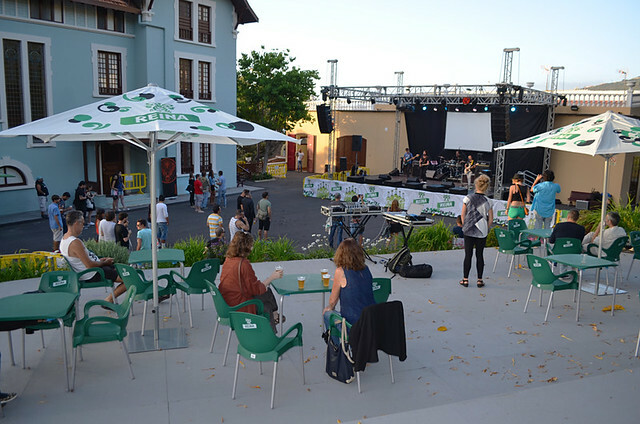 One thing to be aware of is that even the smallest Tenerife hill town, serenely tranquil most of the time, will be bouncing and boisterous throughout the night whenever there’s a fiesta.